Kristy Todd Millar has over 10 years of experience in the finance industry. She is currently a Senior Account Manager in Commercial Real Estate at HSBC Bank Canada. She and her team provide comprehensive real estate financial services, servicing some of Metro Vancouver's leading real estate developers. Her team manages a portfolio of over $500Million in loans. Kristy is a graduate from the Faculty of Arts at the University of Alberta in 2006. Kristy previously held the position of PEAK Vice Chair on the AWF board (2014-15), PEAK Chair (2015-16), Vice-President (2016-17) and President (2017-18). Before joining Sequeira Partners, Erica obtained her Chartered Accountant designation at Ernst & Young LLP. Erica has a Bachelor of Commerce degree from UBC with a specialization in accounting. Erica previously held the position of PEAK Vice Chair on the AWF board (2013-14); PEAK Chair (2014-15); Vice President (2015-16); and President (2016-17). 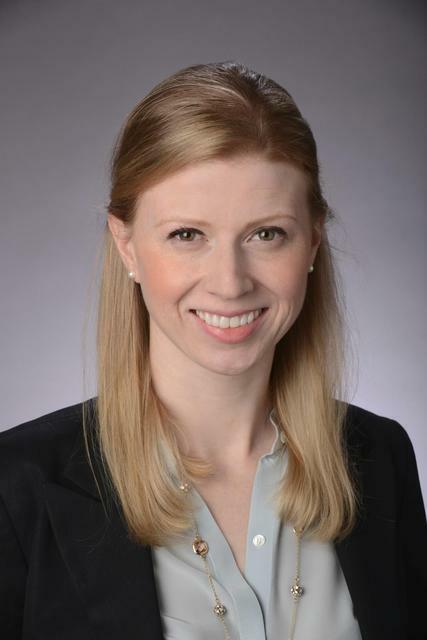 Danielle is a portfolio manager providing discretionary investment management solutions for high net worth individuals and non-profit organizations. She is a Chartered Financial Analyst (CFA) charterholder, and received her Bachelor of Commerce from Concordia University. During her four years on the AWF Board, Danielle worked diligently to build visibility and awareness of the AWF. A true believer in collaboration, Danielle united the AWF in partnerships with likeminded associations to work together to achieve the common goal of advancing women in finance. Under Danielle's leadership, the AWF expanded into the Fraser Valley and broadened its scholarship offerings. She was also instrumental in adding structure to the annual PEAK Awards gala. Her strong industry knowledge and extensive network of contacts helped to expand the organization's reach and brought in new sponsors and attendees at AWF events. Danielle previously held the positions on the AWF board of PEAK Chair (2013-14); Vice President (2014-15); and President (2015-16). Julia Yan is a young, dynamic capital markets professional whose expertise is highly sought after in Canada and internationally. Based in Vancouver, BC, she is currently Vice-President, Regional Sales with TMX Group and is responsible for regional sales for TSX Trust as well as Listings Development for Toronto Stock Exchange and TSX Venture Exchange in BC, Pacific Northwest and Asia. Prior to joining TMX Group, Julia held progressively senior positions with two major Canadian Schedule I banks, specializing in Corporate Trust, Branch Management and Regulatory Compliance. Julia holds an MBA, is a Fellow of the Canadian Securities Institute as well as holder of four professional designations in the field of Finance. A passionate supporter of lifelong learning, Julia has been a featured speaker at Board Governance Education programs as well as at numerous Women and Leadership focused summits and conferences held across Canada. In addition, Julia has extensive experience chairing and moderating economic forums and finance-focused speakers events. She has also been selected to participate in international trade missions and roundtables at both the federal and provincial level. Active in the community, Julia serves on the Terminal City Club Board of Directors and is also a Director with the Harvard Club of BC. Sandra is Associate Counsel with Harper Grey practising with the Wills & Estates and Business Law Groups. Her practice is focused on wealth management and preservation. Prior to this, Sandy held positions at BMO Private Bank and TD Wealth. Her legal background and wealth planning knowledge enabled her to provide comprehensive and integrated wealth planning recommendations and guidance to clients. Sandy honed her expertise as a tax lawyer in downtown Vancouver where she specialized in tax and estate planning. Sandy holds a business degree from Simon Fraser University and a law degree from the University of British Columbia. She has completed the Canadian Securities Course (honours) and the Canadian Institute of Chartered Accountants In-Depth Tax Program. 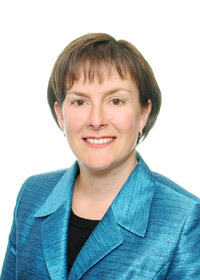 She is a CFP professional and is a member of the Law Society of British Columbia and the Canadian Tax Foundation. Sandy has held the previous AWF board positions as President (2013-14), Vice President (2012-13) and Events Co-Chair (2011-12). Vanessa joined Canadian Western Bank in September 2015 as an AVP, Credit Risk Management following 25 years with RBC in Toronto and Vancouver. Throughout her career, she has been supporting business clients through sales leadership and direct relationship management roles, as well as roles in risk management, portfolio management and corporate finance. 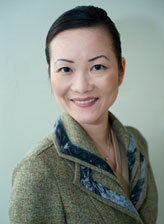 Vanessa holds an MBA from the Richard Ivey School of Business and is a graduate of Leadership Vancouver. Her community board involvement includes Dive Ontario (10 years), the BC New Canadian Entrepreneur Awards and the Vancouver Tourism Awards. Vanessa was recognized in 2014 with an RBC BC President’s Circle award and in 2013 received a Corporate Champion Award from Variety – The Children’s Charity of BC. Vanessa is a strong supporter of the Women's Market with previous roles including President of The Association of Women in Finance in Vancouver (2010 – 2013) and while at RBC was Co-Founder and Co-Chair of the RBC BC Women’s Employee Resource Group (2012 – 2015). Vanessa enjoys teaching her two young daughters the importance of giving back to the community.